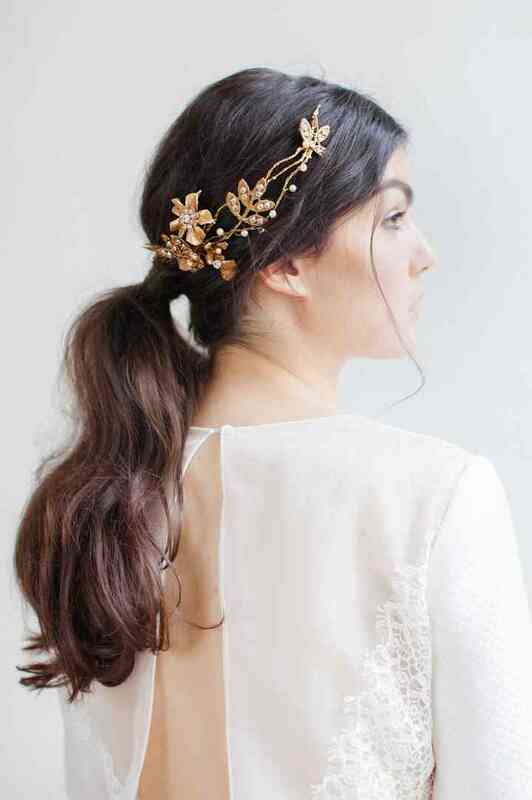 15 Wedding Hair Accessories You Need to Know | Wedding Tips ARE YOU A SUPPLIER? 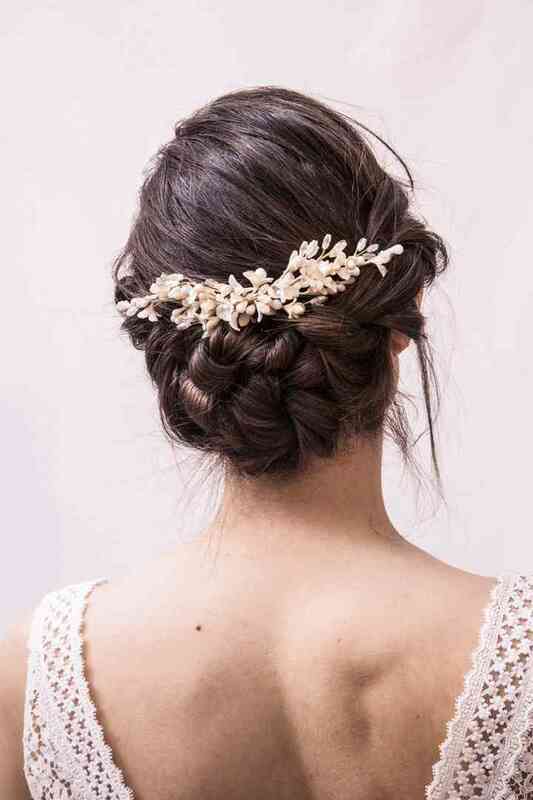 Want to amp up your wedding hair? 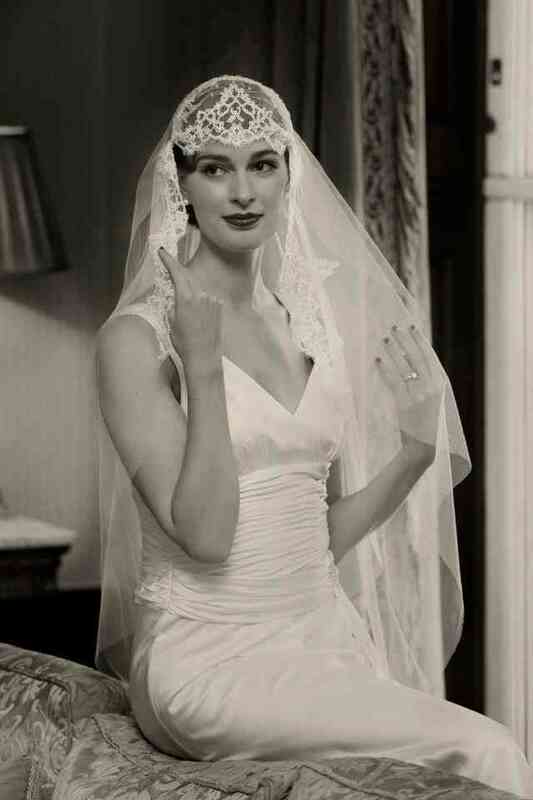 A veil isn’t the only wedding approved accessory out there. Here are a few of our favourites. If you’re rocking an updo on your big day, this is one to think about. It clips just below or above a bun or pony and can feature anything from glittering Swarovski crystals to flowers. The veil is usually attached to its base. A barrette is a type of hair clip that snaps together to hold hair in place. They can be functional, fashionable or both. Most ladies have a few of these guys floating around the bottom of your handbag, so you’re probably already well acquainted with them. If not, they’re flat hairpin with one straight edge and one rippled edge. They’re barely visible, so they’re great for holding elaborate updos in place. Some have a small decoration attached to the end. 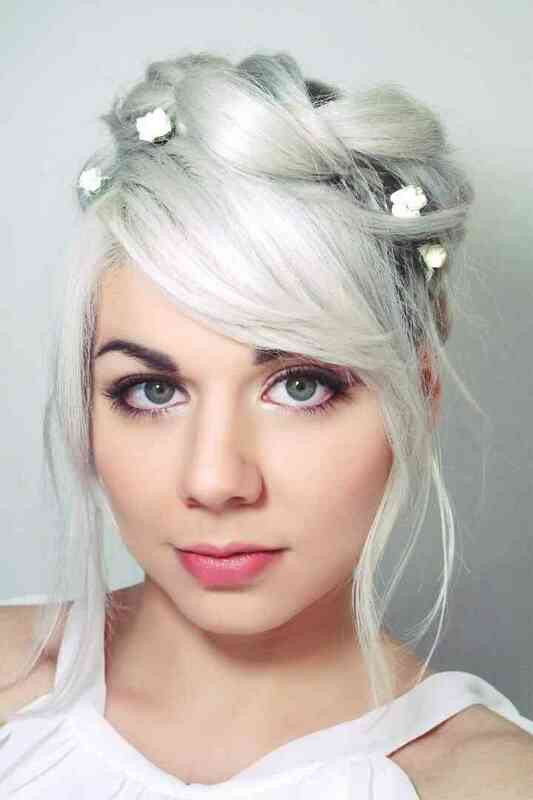 If you’ve opted for an updo, you may want to consider adding a bun wrap to your style. This accessory wraps around the base of the bun, holding it in place and give it some fashionable flair. They often are adorned with beads, pearls and/or gems. No, this isn’t the tool you use to take out knots and tangles, but it does look like one! It’s a hair accessory that has long teeth that keep your locks in place. They often feature brooch-like toppers, so if you want to give your ‘do that extra wow factor, this is the accessory for you. 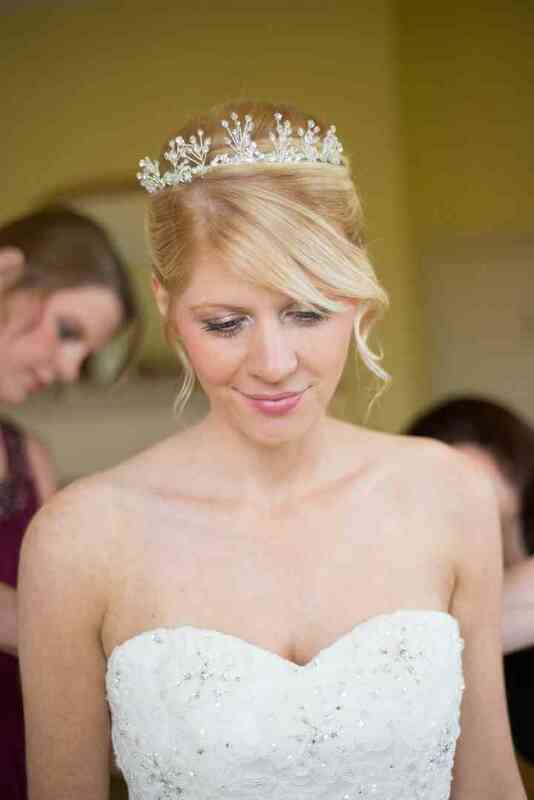 For bride’s who want to look like royalty, a crown is the obvious choice. 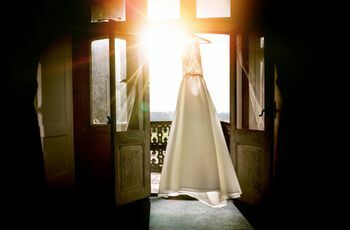 Unlike a tiara, it wraps all the way around the bride’s head, creating a full circle. Keep in mind that crowns don’t work with every hairstyle, so choose yours wisely. This fan favourite isn’t just for music festivals - it’s an awesome wedding accessory, too. 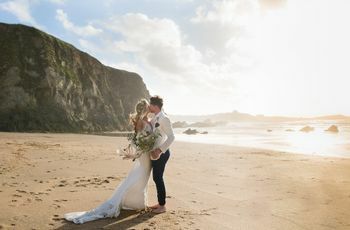 You can make yours out of fresh flowers (with the help of your florist, of course), DIY it with faux blooms or purchase one from a bridal boutique (they’re pretty popular nowadays). A hair clip holds the bride’s hair in place with a set of teeth. These are a little more secure than hairpins and come in just about every style, colour and texture under the sun. The hair vine is another amazing option for nature lovers. 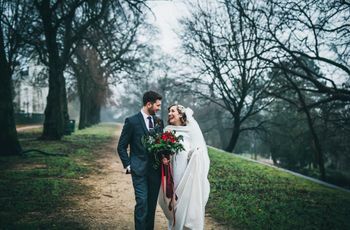 No, it’s not made of real greenery - it’s an accessory that imitates a climbing vine (usually made of a pliable metal and jewels) that is pinned to the side or back of the bride’s head. These look amazing with both updos and downdos. If you’re opting for a bun, chignon or elaborate updo, you’re probably going to need a few hairpins. They’re U-shaped pins with rippled edges that help hold the style in place. There are many bridal options with pearls and/or gems. A hairstick is a small stick that is used to hold an updo in place. It has a pointed end and resembles a chopstick or cocktail stir stick. This is a chic alternative to hair ties, pins and clips, if you want to try something different. A headband, as you probably already know, is a band that sits an inch or two from the hairline on the top of the head. 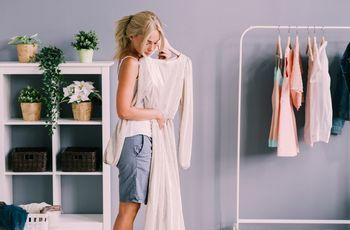 Forget about the cringe-worthy ones you sported in your childhood days and hunt for a prettier, wedding worthy option made of lace or pearls. 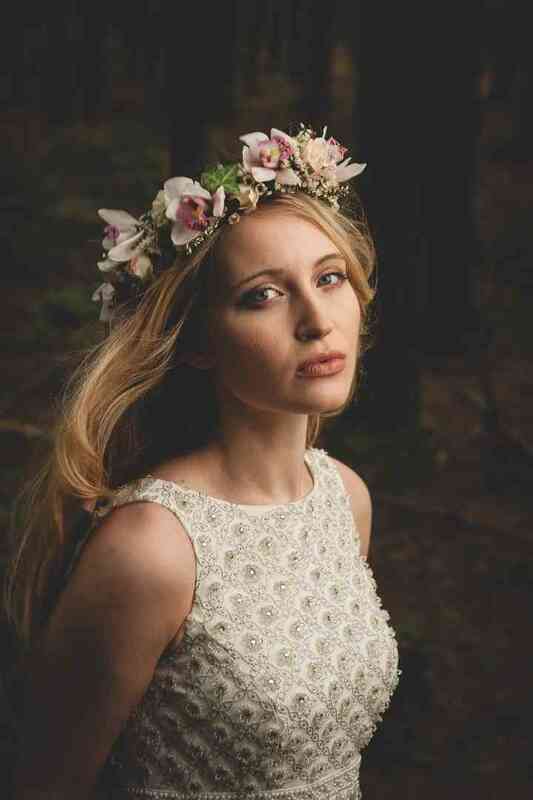 Want to give off vintage vibes with your wedding hair? 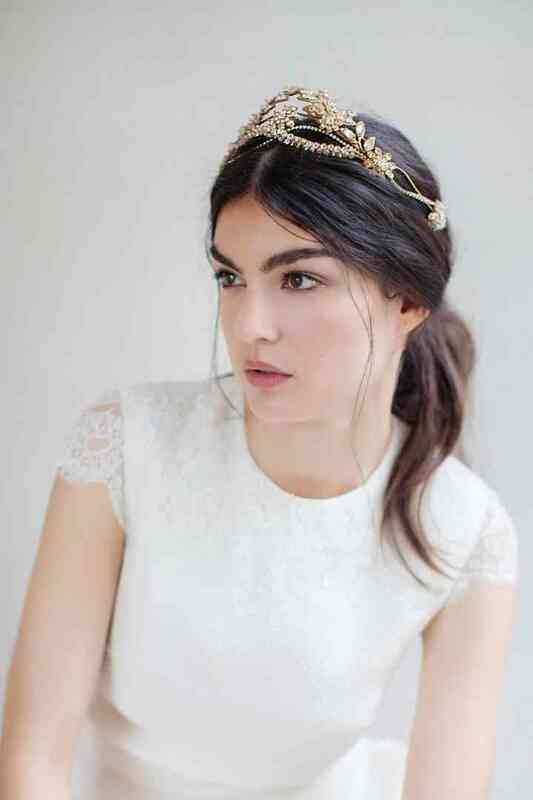 Add a Juliet cap (named after Juliet Capulet from Shakespeare’s Romeo and Juliet). 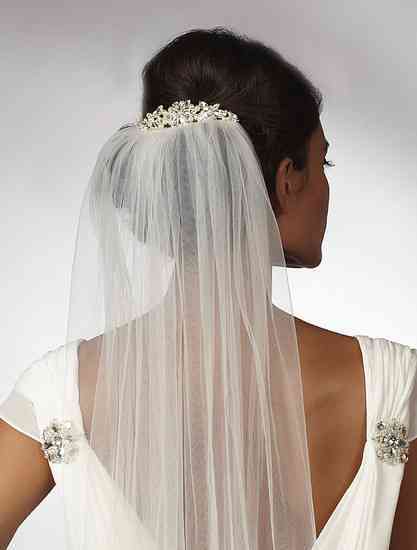 It’s a crocheted or mesh cap that covers most of the bride’s head that can be bedazzled with pearls and/or jewels. If your hairdo doesn’t work with a fill crown but you still want something regal, try a tiara. It is a semicircular diadem that is usually decked out with embellishments like pearls and jewels. Because it doesn’t go all the way around the bride’s head, it can be worn with chic chignons and ponytails (as well as downdos). 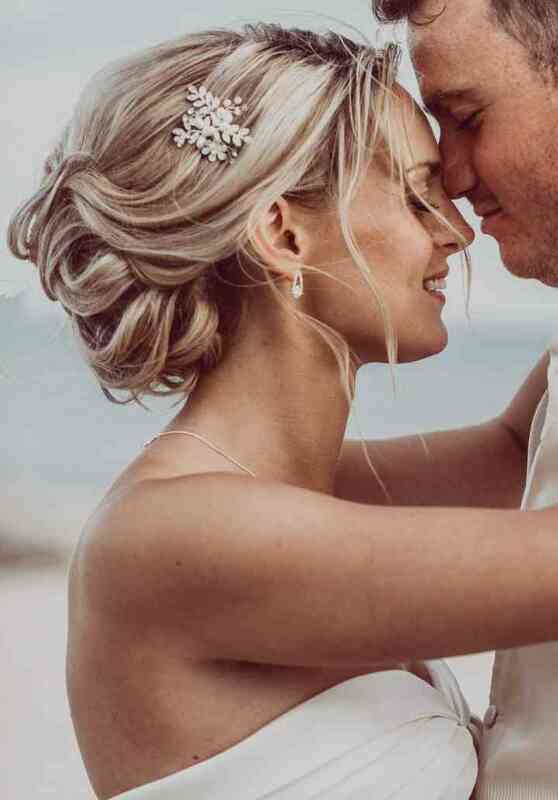 One thing you’ll want to think about before meeting with your wedding hairstylist is what kind of hair accessories you want to wear on your wedding day. We’ve created this handy dandy glossary of terms so that you can get to know your options before deciding on a style. From flower crowns to fascinators, you’ve got plenty of options to choose from. 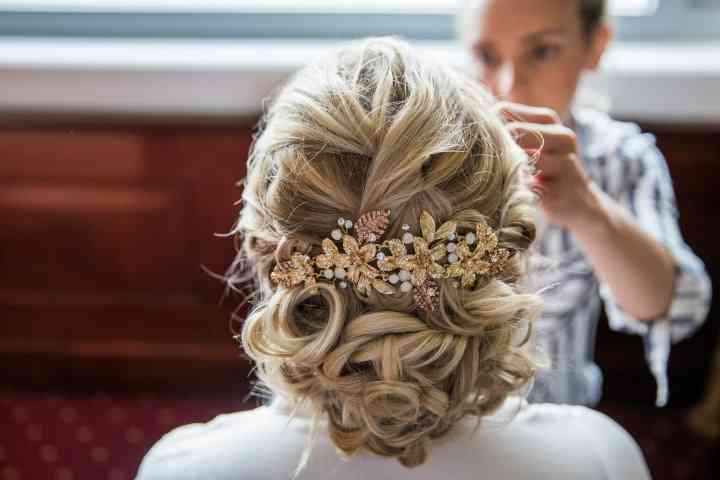 Here are the wedding hair accessories you need to know. This hat style is so popular that it really needs no explanation. 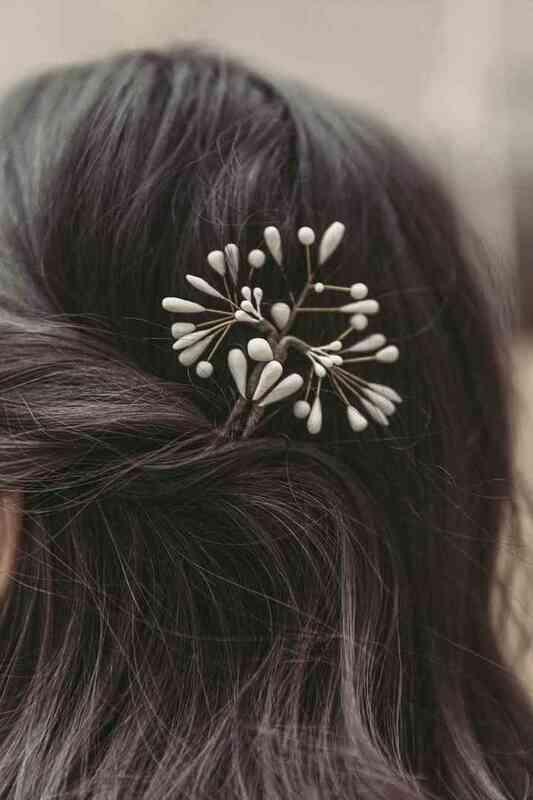 If you’re looking for an eye-catching hair accessory for your big day, it’s definitely worth considering. Need some inspo? Just Google search the Duchess of Cambridge - she’s worn her fair share of fashionable pieces. 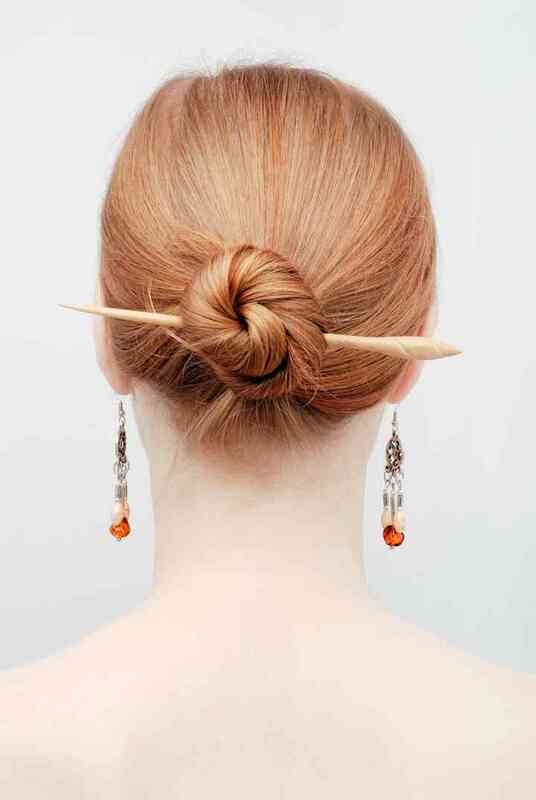 If you’re opting for a bun, chignon or elaborate updo, you’re probably going to need a few hairpins. They’re U-shaped pins with rippled edges that help hold the style in place. There are many bridal options decorated with pearls and/or gems. 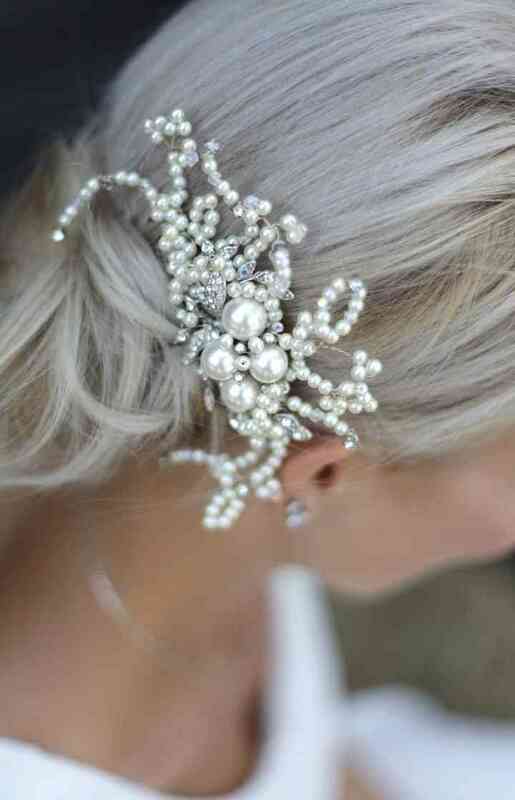 Find hair accessories in our complete bridal catalogue!